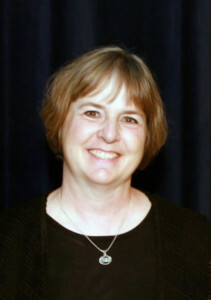 Sue Ewing retired in 2013 after 39 years of teaching middle school orchestra (37 of those at Haggard Middle School in Plano ISD). Middle school students have always been her motivation and inspiration for keeping young at heart, flexible, creative and aware of the humor and joy in life. Her orchestras consistently won Sweepstakes awards at UIL. A graduate of the University of North Texas, she is a member of TMEA, TODA, Mu Epsilon, a lifetime honorary member of PTA, Haggard’s teacher of the year (1992-93), and is listed in Who’s Who of American Teachers. She was honored at retirement to receive the Orchestra Director of the Year Award from the Texas Orchestra Directors Association. Ms. Ewing has been mentor to a multitude of student teachers as well as assistant directors who have gone on to become successful directors around the state. In retirement, she continues to perform cello with the Allen Symphony Orchestra. After graduating from college, Mrs. Ewing spent 5 months backpacking in Europe. This desire to explore diverse cultures and landscapes has been a constant in her life. She has been a staff member of TYOC for the 2009 and 2012 trips to the Czech Republic, Austria, Hungary, England, Wales and Scotland. Retirement has allowed even more flexibility for travel – from train travel in Canada to scuba diving in Roatan, Honduras. Travel also includes trips to Nashville to visit her new grand baby, Lydia (and of course the proud new parents!). “Traveling with TYOC combines two of my passions – music and travel. A busload of diverse backgrounds with a musical tie has the unique opportunity of becoming a close-knit family exploring the historical wonders of differing cultures. I can rely on this being a well-planned and paced trip that comes with my 5 star recommendation. I look forward to another treasured, life-changing experience in 2015.